Who created the student evaluator program? The Student Evaluator was created by teachers, for teachers. An idea that began almost 10 years ago, the Student Evaluator has brought together a team of teachers, learning advisers, web design specialists, and software engineers to create an amazing evaluation tool for teachers. We realized that there had to be a better and more efficient way to accurately assess and create report cards for our students, and so we built software to do just that. With an annual subscription you are allotted 100 credits, which you can use to evaluate your students over the three reporting periods. For each evaluation, your account is debited one credit. Your subscription will expire one year from when it was purchased or after you use the 100 credits, whichever occurs first. The annual subscriptions start at only $29.99 – That works out to just 30 cents a report! How do I pay for Student Evaluator? We accept all major credit cards. Once you have paid for your subscription, your account will be credited with 100 credits. Enough for your entire school year! As a convenience to our customers, we will automatically renew your subscription every year. You can cancel your subscription at any time. Is this just a way to cheat on writing my report cards? Absolutely not. Student Evaluator is a great tool to accurately asses your students’ progress over the school year. For each learning skill or frame, you are asked questions which provide the data our software needs to analyze how a student performs on a daily basis. Once you have filled out the questionnaire, you are prompted to provide a personal introduction and closing remarks. Our program then generates a report based on the answers you provide during the evaluation. Question: Is this report card comment program only for Ontario Teachers? 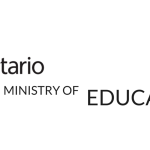 Student Evaluator was initially created using the learning skills from the Ontario Report Card, but the comments it generates can be used anywhere. When you consider the learning skills required as an elementary student, they are universal no matter where in the world you live. All students need organization, responsibility, independent work, collaboration, initiative and self-regulation skills to be productive pupils in a school. Whether you are creating a report card comment for a student in Canada or England, Student Evaluator will create a custom and unique comment that speaks to the student’s learning strengths and needs. The Kindergarten tool is slightly different though as it has been specifically designed to meet the needs of Ontario teachers reporting from a full day Kindergarten programme. Is this only for Grades 1-8? When we first built this tool it was designed for grades 1-8 reporting. We did have a number of Kindergarten teachers that used our programme but that changed in 2017 when the new Ontario Kindergarten reporting standard was set. We now have two different reporting systems, one for primary, junior and intermediate reporting and another for Kindergarten reporting. Can I write Kindergarten reports using your tool? Yes, you sure can. We have exhaustively researched the new Kindergarten evaluation criteria and designed a way to evaluate your students using all frames and overall expectations. I do not have strong technology skills. Will I be able to use this? Student Evaluator was designed with the user in mind. Once your registration is complete, you can easily create comments using our simple web-based interface. All you need to do is type in a students’ details and click on responses to our questionnaire. After the questionnaire is complete, you add your personal comments and click the “Generate Comment” button. The program will generate a comment and final learning skills mark for each section of the report card. All you have to do is copy and paste the comment into your report card program and you’re done! Student Evaluator will save all of your comments and marks for future reference as well. Where can I get a sample report from? Our website uses 256-bit encryption to ensure that all content and you and your students privacy is protected. 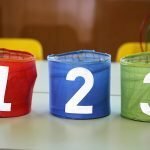 Will you use my personal information for any third-party promotion or advertising? No. Periodically, we will send out newsletters, but we will not send your information out to third parties. Isn’t it risky to have student information on your website? Not at all. The only information you are putting into the website is the student’s name. You can purge all the information at the end of the school year or keep it as a permanent record, your choice.